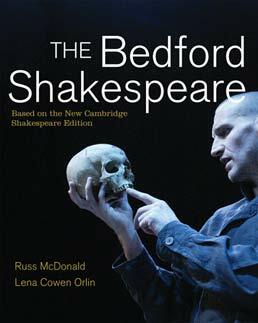 Combining historical and contextual materials with 25 of the most frequently taught plays by Shakespeare, Bedford Shakespeare creates accessible entry points into the plays, leading to opportunities for lively classroom discussion. Lena Cowen Orlin is Professor of English at Georgetown University and Executive Director of the Shakespeare Association of America. She serves on the editorial boards of two Shakespeare journals, is co-editor of the Arden Shakespeare Critical Currents Series, and sits on executive committees for the International Shakespeare Association and the International Shakespeare Conference of the Shakespeare Institute in Stratford-upon-Avon. As Executive Director of the Folger Institute at the Folger Shakespeare Library, she developed many programs for college teachers of Shakespeare. She has co-edited Shakespeare: An Oxford Guide and is editor of A Sourcebook for English Studies: The Renaissance. She also publishes on the social, economic, and architectural history of Shakespeare's times and has received fellowships from the Guggenheim Foundation, the National Endowment for the Humanities, the Mellon Foundation, the Folger Library, the Huntington Library, and the Yale Center for British Art. Her books include Private Matters and Public Culture in Post-Reformation England and Locating Privacy in Tudor London.